Scroll down for the newest listings of homes for sale in 78256. Use the Advanced Search feature to search all listings in this zip code. 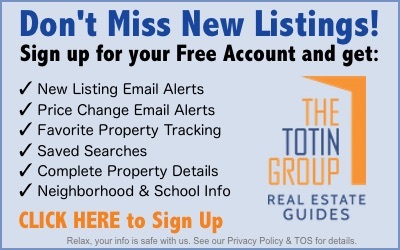 Contact the Exclusive Buyer Agents at The Totin Group at (210) 872-8888 to see real estate for sale in 78256 in San Antonio, Texas. Several award-winning golf courses, fine dining and upscale shopping are all convenient to popular neighborhoods and gated communities in the affluent 78256 zip code including Crownridge, Legend Hills, Steeple Brook, Stonewall Estates, and Stonewall Ranch. Luxury homes for sale in 78256 are situated in the Bexar County municipalities of Cross Mountain and San Antonio, Texas. Friedrich Wilderness Park and Crownridge Canyon Natural Area are located here, offering residents access to nature trails and scenic views from several neighborhoods. The area’s 8,800 residents are attracted by Texas Hill Country living and large, elegant homes that are still convenient to large employers and downtown San Antonio attractions. Did you know that your Exclusive Buyer Agent at The Totin Group can help you find and purchase the Hill Country home of your dreams in 78256 with the best price and terms? Typically, the seller pays our fee, so you get expert representation with no out-of-pocket costs. Contact the Exclusive Buyer Agents at The Totin Group at eXp Realty at (210) 872-8888 to begin the search for your dream home in the foothills of Texas Hill Country in San Antonio, Texas. The newest listings of real estate for sale in 78256 are shown below. Use the Advanced Search feature to search all listings in this zip code in north San Antonio, TX.